What is the Willamette World News? The WWN is a comprehensive webpage and printed publication designed to give an international perspective on major issues, building on the human resources Willamette counts on as a liberal arts university. It also serves as a listing of international resources for students, faculty, and all those interested in information, international education, and language learning. You can read more about our publication in a recent news story published by Willamette University here! Who writes the Willamette World News? 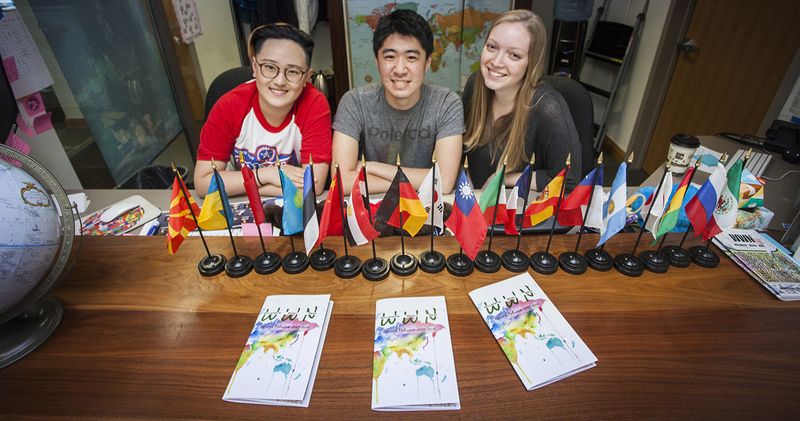 Language Assistants and international students who come to Willamette contribute to the Willamette World News. Their presence provides the community with invaluable sources of information and opinions from their home countries. Each month one broad overarching topic is provided to all the contributors, with which they will each get a chance to personalize the topic to their own interests and experiences. The project was initiated and is maintained by the Language Learning Center. Academic departments at Willamette are invited to suggest articles and topics that are relevant to US news, world issues, and academic interests.